What makes Lisa Parker such a remarkable teacher? We could write quite a few blog posts here alone! But four qualities leap out right away — and each is wrapped up with the others. Before I get going, I should mention the obvious: this is just my take on things, and I’m well aware that others — including Lisa — may have different interpretations. I hope she won’t be upset with me for saying what I do. Stillness, inner quiet, is quite important to me. By this I mean operating from a space of non-reactive listening — to one’s self, to others, to the world around us. Cutting through the chatter and distraction to be in touch with that quieter impulse. This is part of how I understand the Quaker notion of acting out of silence. I’m not a Quaker like Lisa, but meditation is a vital part of my daily practice and the two feel akin. To me, it seems that Lisa’s teaching comes from such a place of inner quiet. She observes and makes her decisions from what feels like a calm spaciousness. 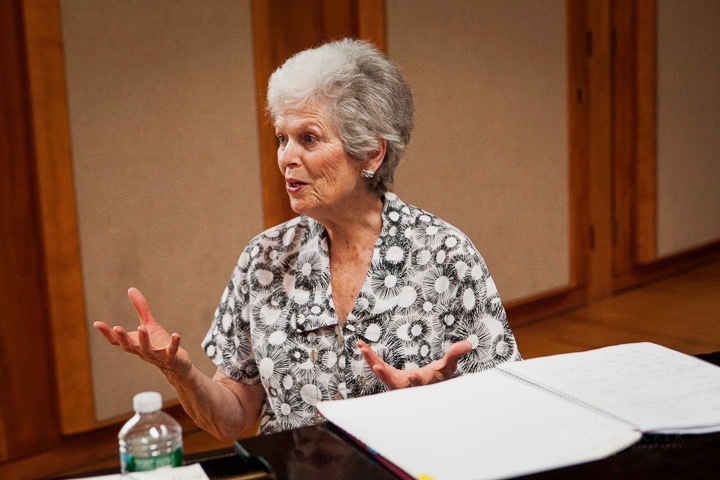 This comes through in the way she structures the class, in the ways she watches and gives feedback to students, and, most of all, in her playing. 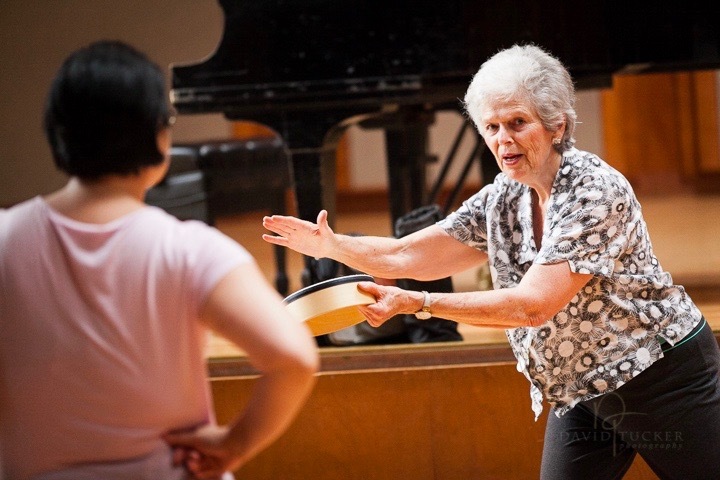 The most brilliant Dalcroze educators are ones who inspire their students to reach their full musical potential. Before you get to the second point, what would you say about Lisa’s piano playing? The ways she traverses landscapes from atonal to tonal, her touch on the instrument, her bass lines, sequences, and fluid modulations are all part of it, but the sum is greater. These are all tools through which she evokes such beauty and nuance of movement, such space. I’ve often just listened to Lisa’s playing, not for pedagogical reasons but simply because of the how much I love her improvisations. Listen to Lisa’s playing in our Video section (available to DSA Members). What consistently blows me away though is how simple so much of it is. I mean, on the one hand here is music that is so evocative, so moving in such emotionally contradictory ways and, on the other, it’s often so simple when you analyze it from her perspective! I guess that sort of elegance is part of the reason that anyone who has had the good fortune of taking one of Lisa’s classes will know what we mean when so many of her students say that nobody plays like Lisa. Lisa Parker leads a class during the 2016 National Conference. Yes. One of the other aspects of Lisa’s teaching — especially Eurhythmics — is the way her lessons unfold like a Nautilus shell. One experience builds seamlessly, organically, to the next and by the end of the class they have all come together in a wonderful “aha!” moment. It’s like a through-composed piece of music flowing from start to finish. Actually as a teacher this was daunting at times. I was studying with Lisa throughout the year at Longy, back when they still had their Masters of Music/Dalcroze Certification program, and Lisa’s Eurhythmics classes were making major impact. For a little while I had it in my mind that I had to construct lessons like that — because it was so fantastic to be a student in such lessons — only I couldn’t quite do it. It took studying with other teachers to realize that this is just one way of doing things, one very beautiful way among many possibilities. This is one of the many reasons it is so important to study with a diversity of teachers. When I’m at my very best, I sometimes capture shades of this sort of spiral-shell lesson construction. The third quality is Lisa’s ability to push you to be the very best…you. She meets each student where they are, given their unique constellation of strengths and interests, and challenges them to grow further into themselves. Of course this doesn’t mean an absence of fundamental skills that every student needs: for example, everyone needs to play effectively for movement, to feel pitch function, etc. But along with that, Lisa takes seriously the notion that there are so many types of teachers and musicians, each with his/her own purpose, and she strives to help each student actualize that personal essence. The fourth quality that comes to mind right away is Lisa’s thirst for learning. The notion that someone as accomplished and experienced as Lisa is still fascinated, and curious, and investigative is good news for all of us. In my family, a continuous sharpening of one’s blade is virtually synonymous with not just a good life but a meaningful one. Lisa has been a great inspiration in this regard. Lisa Parker demonstrates the importance of space by using a drum. What is one memory of studying with Lisa that stands out to you? 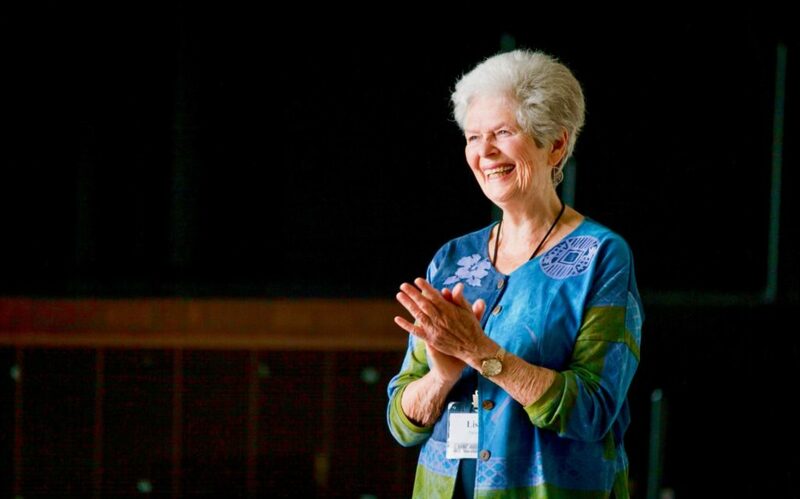 The DSA thanks the many Dalcroze educators who have changed lives through their work. Please, tell us about the educators who have inspired you or consider a donation to the DSA to support their legacy. 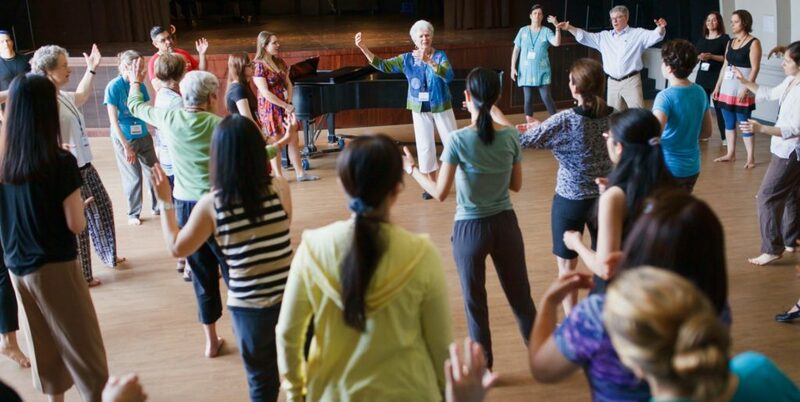 The Dalcroze Society of America is a 501(c)(3) tax exempt organization. 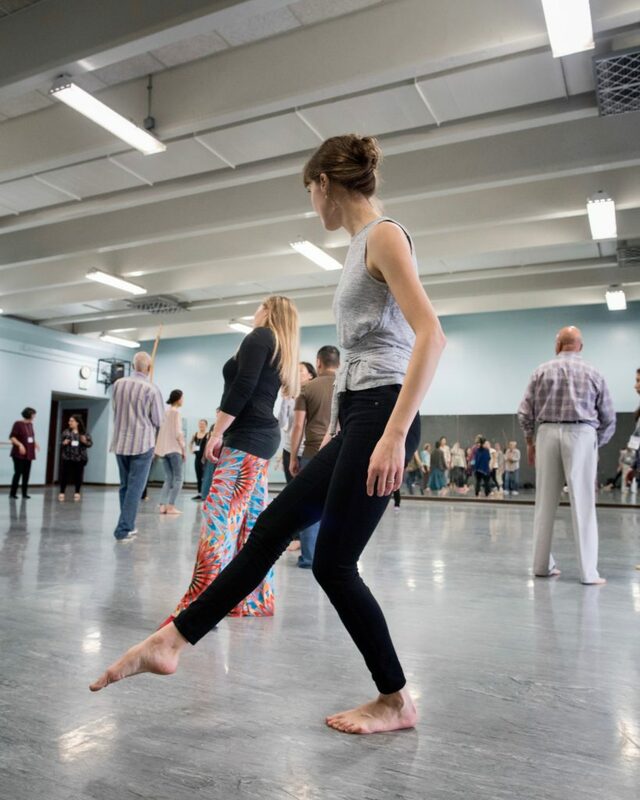 © 2019 Dalcroze Society of America. All rights reserved.